I was in Paris last week when I heard the news of Nicolas Ghesquiere's imminent departure from the house of Balenciaga following 15 years in the role of creative director. The decision to step down is said to have been made jointly by Ghesquiere and PPR, who owns the luxury brand. 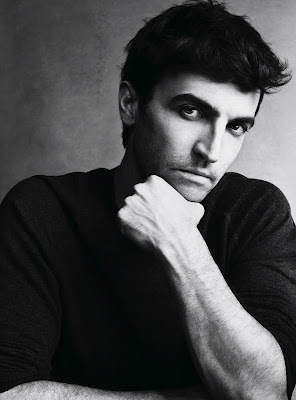 Ghesquiere was plucked from relative obscurity in 1997 to lead the esteemed fashion house into unchartered territory. Ghesquiere quickly established a reputation as a designer capable of traversing the fine line between femininity and masculinity as evidenced in the designer's fascination with geometrical silhouettes and precise tailoring. Today, Balenciaga remains one of the most contemporary and relevant fashion houses, and has increased it's global reach particularly in Asian markets with 62 stores worldwide. Ghesquiere's final Spring/Summer 2013 collection for Balenciaga, his most provocative to date with a strong emphasis on restraint and austerity mixed in with a dash of youthful rebellion, was well received by critics and fashion fiends alike. In a telling interview for Interview Magazine, Tom Ford dishes with Ghesquiere about the love/hate relationship between designers and the media. TF: Do you think the press is getting meaner? I think some journalists and bloggers want their articles to be clever, and the way into that is by writing nasty things. I think our culture likes to be mean. I don't find this in fashion - I find it in the news. More and more, it is about ripping people apart. NG: Strangely, meanness pays more than offering constructive and interesting commentary. Every season I think, 'This is the last season. I'm not gonna read tomorrow morning. Forget it.' The first thing when I wake up - quite late, usually - I am craving the newspaper. TF: Do you take it personally?